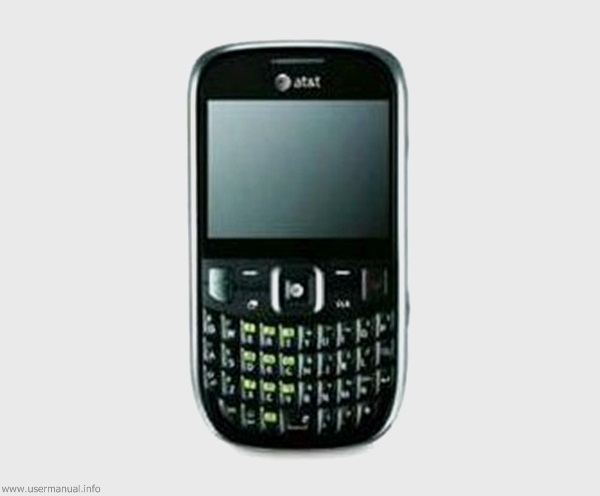 ZTE Z431 user manual for AT&T – ZTE Z431 for AT&T or also known as AT&T Z431 was released on February 2013 with four-row keyboard and support for AT&T 3G connection. 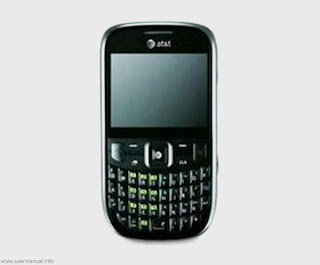 AT&T Z431 is texting device and performed with bigger battery and better camera for basic phone. ZTE Z431 for AT&T equipped with mini SIM card slot and 5x digital zoom for camera. ZTE Z431 for AT&T equipped with specifications and key features such as: 114 x 61 x 11 mm in dimension with 95 g in weight, 2.4 inches TFT capacitive touchscreen display 256 k colors 320 x 240 pixels screen display, microSD up to 32 GB, 58 MB internal storage, 2 megapixel camera with digital zoom, full QWERTY keyboard, Li-Ion 1000 mAH battery, stand-by time up to 216 hours and talk time up to 4 hours. ZTE Z431 user manual for AT&T is available to download in pdf file format with 2.73 MB in size and contains of 72 pages. On ZTE Z431 user manual for AT&T, users will find AT&T social net feature that will let users to access latest news as well as popular social networks such as Facebook, Twitter and Myspace including on how to set up it. LG 840G user manual for TracFone – LG 840G for Tracfone was released on November 2012 as feature phone for the carrier. 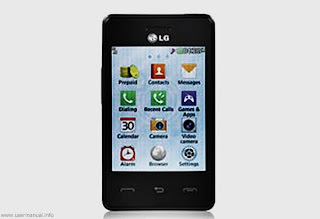 LG 840G for Tracfone as prepaid phone is standard phone with triple minutes for life offers from the carrier as the plus. LG 840G for Tracfone run Java based operating system not Android. LG 840G for Tracfone performed with modern and stylish style with simple features. LG 840G for Tracfone equipped with specifications and key features such as: 101.6 x 61 x 12.7 mm in dimension with 108 g in weight, 2.3 inches TFT capacitive touchscreen display, microSD up to 32 GB, run Java software platform, 2.0 megapixel camera with digital zoom, Li-Ion mAH battery support, stand-by time up to 312 hours and talk time up to 5 hours. LG 840G user manual for Tracfone is available to download in pdf file with 186 pages. On LG 840G user manual for Tracfone, users will helps with explanation and settings of the feature phone features and functions. Archos 80 Titanium tablet user manual guide – Archos 80 Titanium tablet was released on January 2013 and regarding to specs, the tablet seemly will be the iPad Mini competitor. 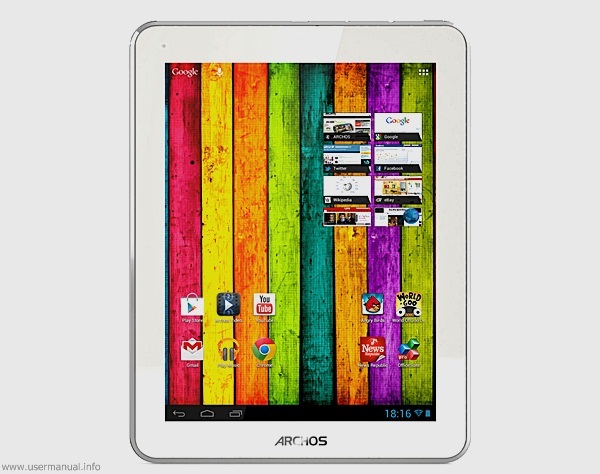 Archos 80 Titanium tablet performed with metalic back plate and appeared as small tablet with 8 inches IPS screen display. Archos 80 Titanium tablet equipped with specifications and key features such as: 200 x 154 x 9.9 mm in dimension with 440 g in weight, 8 inches IPS LCD capacitive touchscreen display 1024 x 768 pixels screen display with multitouch support, microSD up to 64 GB, 8 GB internal storage, 1 GB of RAM, 2 megapixel rear facing camera, 0.3 megapixel front facing camera, run Android 4.1 Jelly Bean operating system, powered by 1.6 dual core processor Rockchip RK3066 Mali 400 MP4 and Li-Po mAH battery. 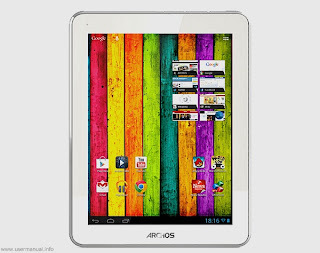 Archos 80 Titanium tablet user manual guide available to download in 3.01 MB size with 114 pages. Archos 80 Titanium tablet user manual guide contents of explanation of features and fucntions, for complete service you need to register your tablet from a computer and visit www.archos.com/register.